We were told we would have a House majority on Tuesday, the 29th day of the legislative session, but it wasn’t meant to be. Instead, we were treated to a truly bizarre House floor session, last-minute heartburn about the budget and a truly scathing public hearing for the latest appointment to draw public ire. Personal note: I’m currently writing this as I’m packing up for a week-long vacation that I had planned six months ago, when I thought the Legislature would be a properly functioning deliberative body and the budget deadline would be like every other budget deadline and we’d just see some last-minute tweaks. I’ll still be keeping up with some of the budget presentations like the legislative addict that I am, but we likely won’t have the latest and hottest breaking news over the next few days. Also, hit me up on Twitter if you have any food recommendations for the San Francisco area. That’s when Gov. Michael J. Dunleavy will be rolling out his budget in a news conference. We’re expecting somewhere in the neighborhood of $1.6 billion in cuts, which he says aren’t really cuts because he’s really just rebuilding the budget. Dunleavy will be “rebuilding” the budget with significantly less money for K-12 schools, the University of Alaska, Medicaid and now it’s likely that Alaska’s Power Cost Equalization program for rural Alaska is also on the cutting board (see, turns out he hasn’t forgotten rural Alaska after all). Those will likely be the cuts that grab headlines but be on the lookout for plenty of other things that may be hidden in the details (reappropriations are a favorite of legislators). The size and scope of the cuts, which will reportedly also require multiple additional pieces of legislation, will be immense and it will take time for legislators and the public to begin to fully digest the scope and impact of the cuts. 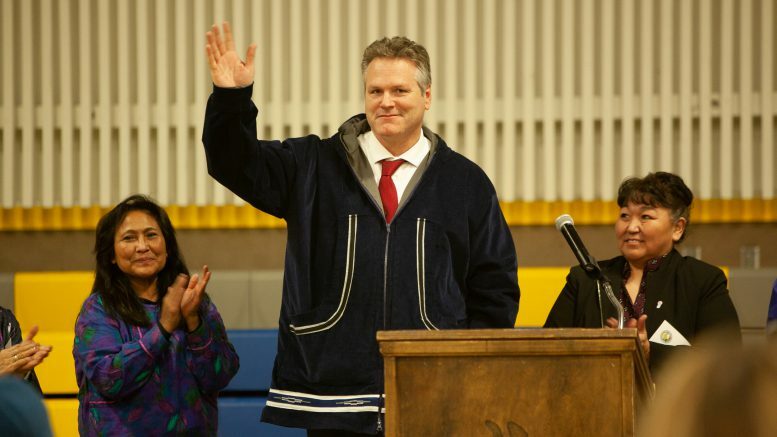 Efforts to privatize Alaska’s prisons (Dunleavy has already said that growth in corrections and public safety are one of the few places that he supports). As we already know, the governor’s budget director Donna Arduin isn’t particularly interested in understanding the impact of the cuts—as has been demonstrated with her handling of the impact of the governor’s proposed $20 million cuts to the already in progress school year—and has deflected responsibility for understanding the impact for legislators. Economist Mouhcine Guettabi at UA’s Institute of Social and Economic Research have updated his economic forecast for potential cuts, suggesting that the employment losses from cutting $1 billion from the state budget would amount to about 10,000 jobs. One big case to watch with that will be Dunleavy’s proposal for Medicaid expansion. The Alaska State Hospital and Nursing Home Association looked into what it’d mean to cut the $30 million state spend, which is matched by roughly $400 million in federal matching funds. Their estimates from that cut amount to a roughly $556 million hit to the economy and 3,700 jobs. After Rep. Gary Knopp’s shocking about face on signing back on with the 20-member Republican caucus, the Kenai Republican had some explaining to do. It seems like there’s a lot going on, but he told KTOO that some of his initial concerns about the stability of a 21-member majority reared their head recently. That would be, unsurprisingly, the actions of Rep. David “I was a teenage fan of Bob Dole” Eastman. While everyone else had been attempting to cobble together a majority whether by winning over Democrats or winning back Knopp, Eastman was helping residents figure out how to set up a recall effort targeting Knopp. A Facebook group has since popped up attempting to collect the necessary signatures to getting a petition rolling. At the very least, the group has the correct petition figured out—unlike the group of brainiacs who filed a recall petition targeting Rep. Jason Grenn with the Anchorage clerks. What’s next? Who the hell knows. And here’s this very dignified tweet from the governor. Elections have consequences, & the majority of Alaskans have chosen conservatives in #AKLeg, and expect a republican led majority. 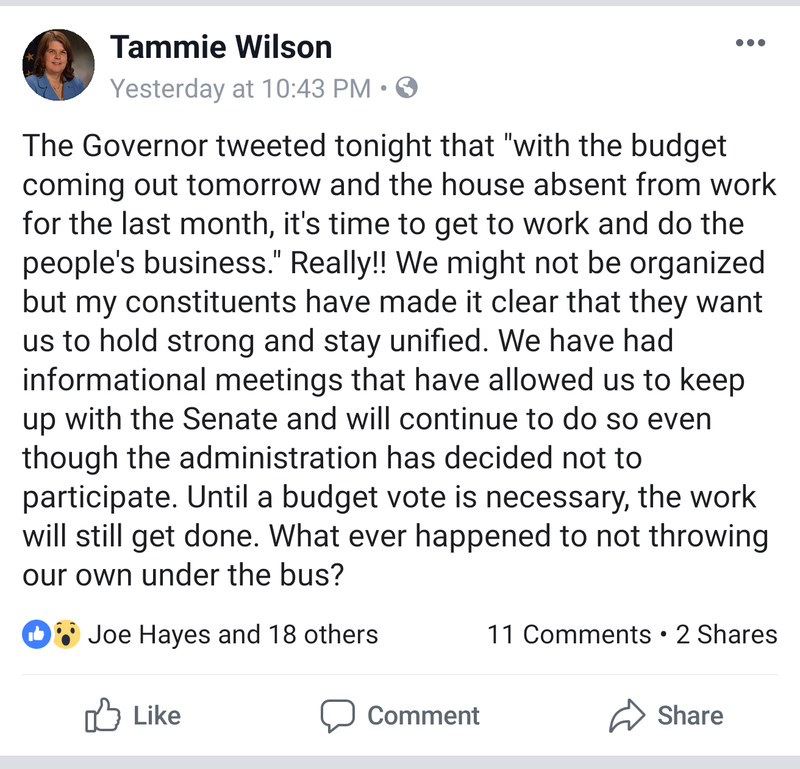 With the budget coming out tomorrow and the house absent from work for the last month, it’s time to get to work and do the people’s business. That’s the number of people who called in to oppose anti-marijuana activist Vivian Stiver’s appointment to the Alaska Marijuana Control Board to the number of people who supported her. It was mostly folks affiliated with the industry against conservative folks in Stiver’s Fairbanks circles. Testifiers were thoroughly unimpressed with Stiver’s recent efforts to skim through the marijuana handler’s permit course (including its author) and finally visit a marijuana retailer seeing as how she attempted to outlaw the already-operating industry from the Fairbanks area in 2017. They noted that Stiver has routinely tried to pitch fake news about marijuana—including that sativa makes people violent—and called into question her recent attempts to show it a friendly face. Some of the most damning testimony came from Kim Kole, the Anchorage marijuana businesswoman who wrote that test Stiver skimmed. “Paying Dividends,” the latest podcast by Alaska Public Media explores the politics and challenges of Gov. Michael J. Dunleavy’s promise to pay supersized dividends. ISER economist Mouhcine Guebttabi’s Twitter feed. Dermot Cole’s latest piece exploring Dunleavy’s hollow campaign promise that deep, draconian cuts weren’t actually needed. Be the first to comment on "AKLEG Day 29: Senator worried Dunleavy’s budget will raid rural Alaska programs"